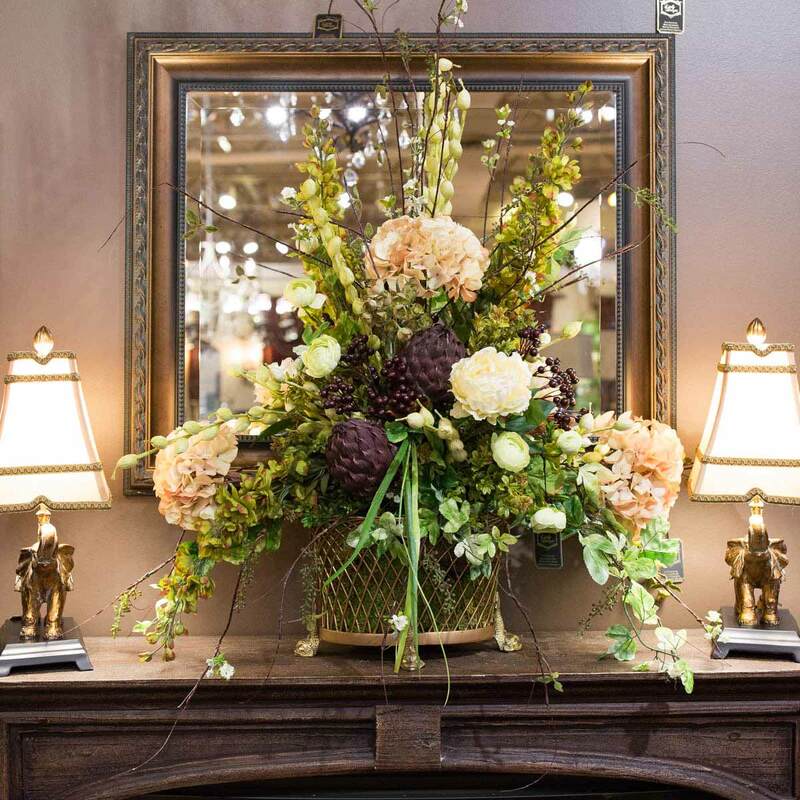 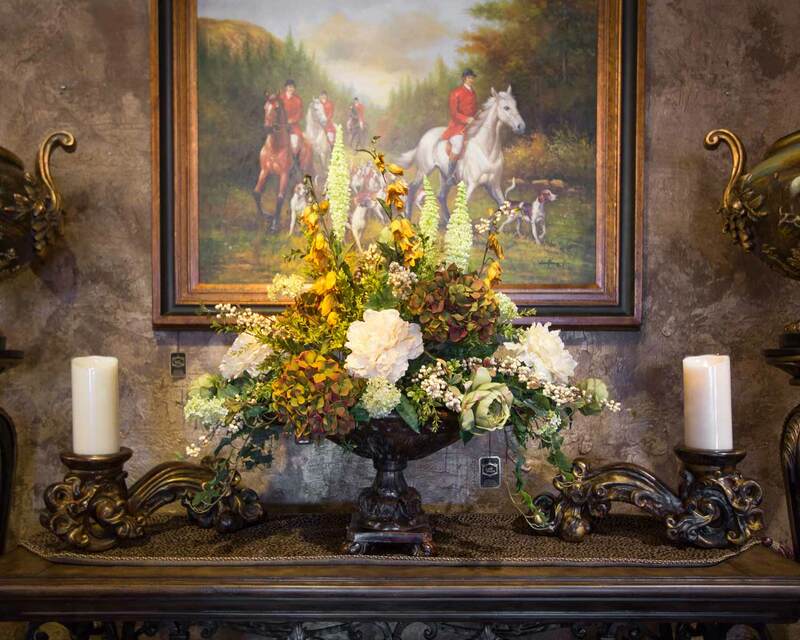 Our on-staff floral designer creates custom, one-of-a-kind silk floral arrangements that reflect the style and elegance of timeless design. 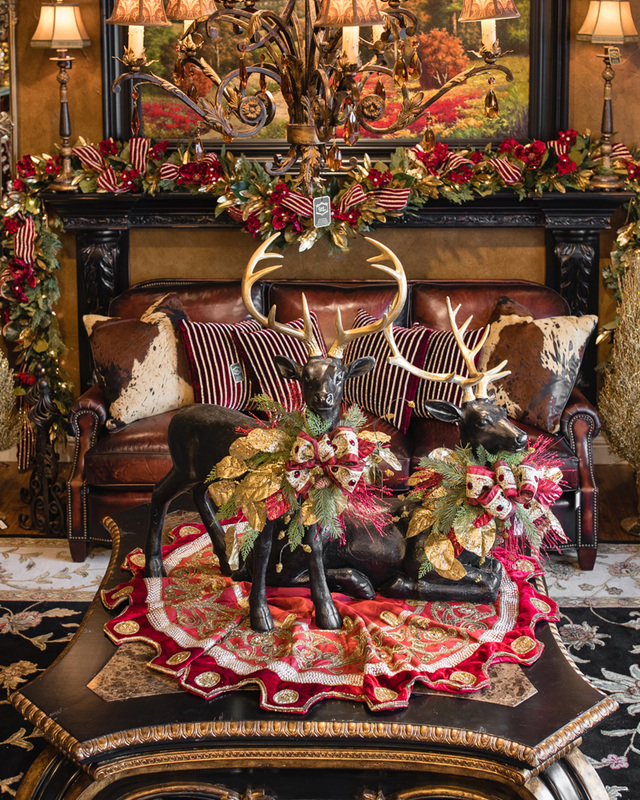 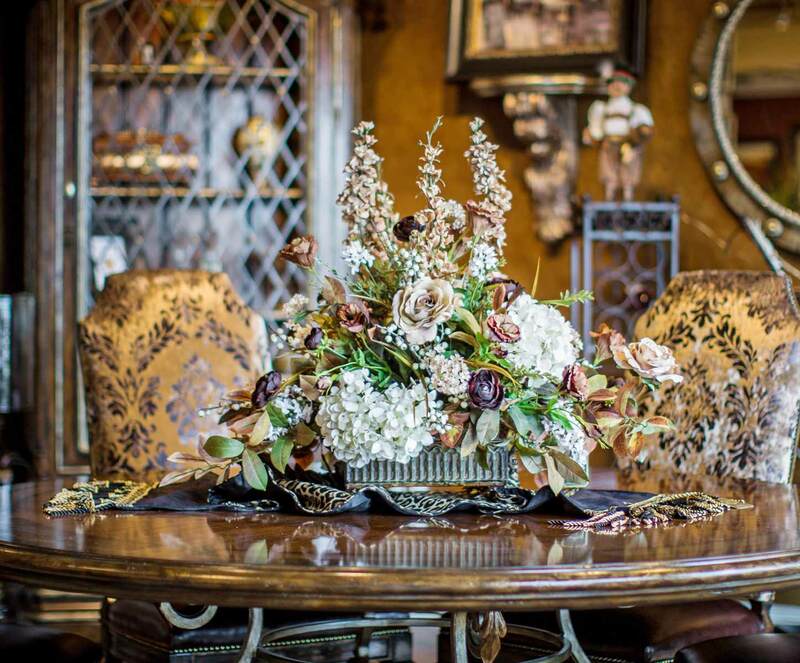 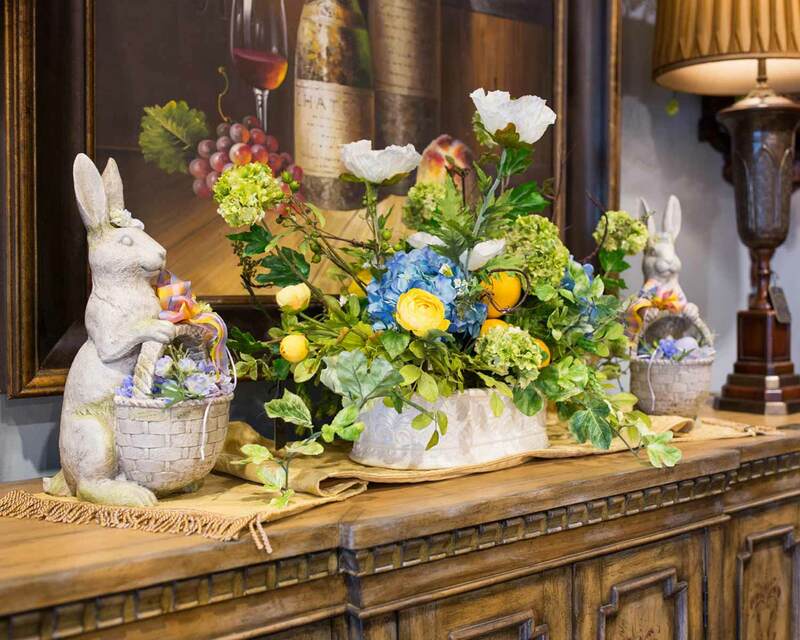 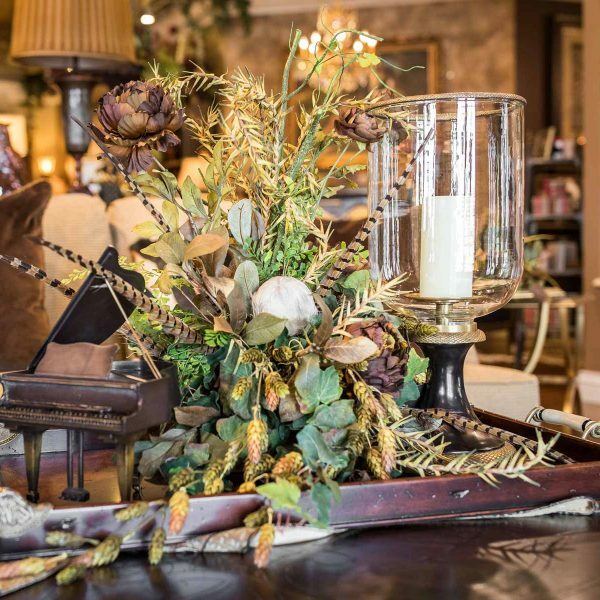 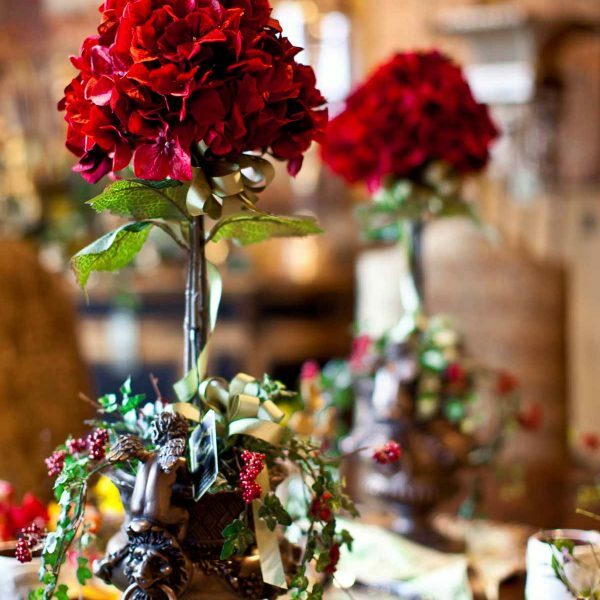 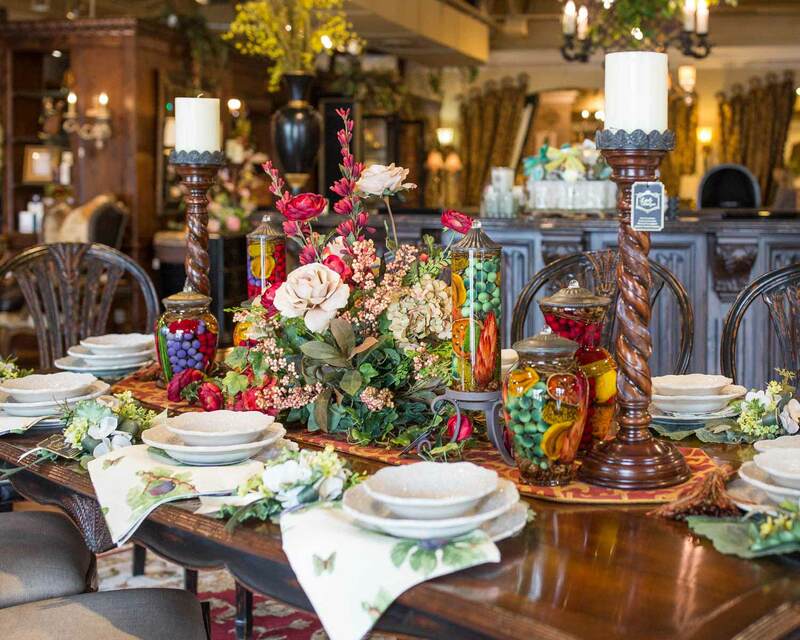 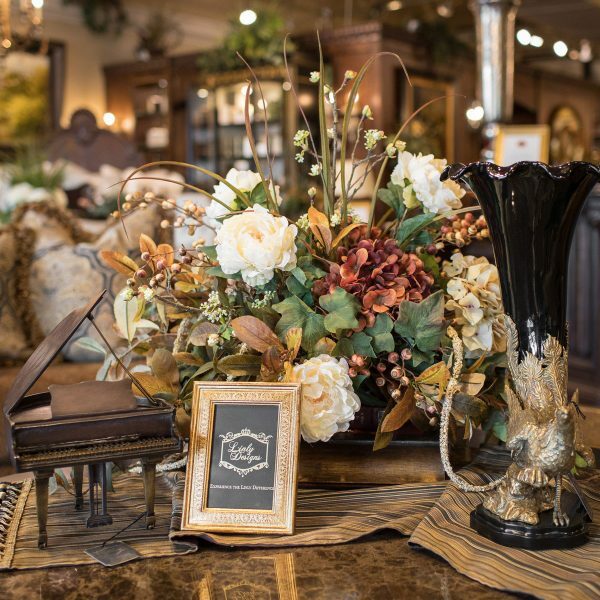 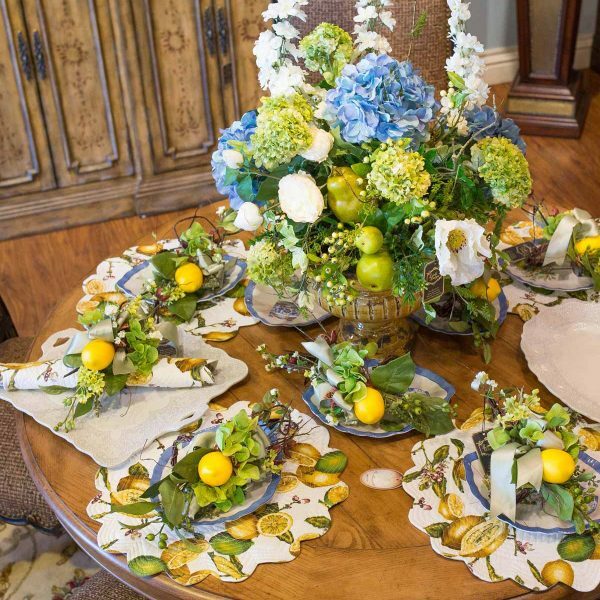 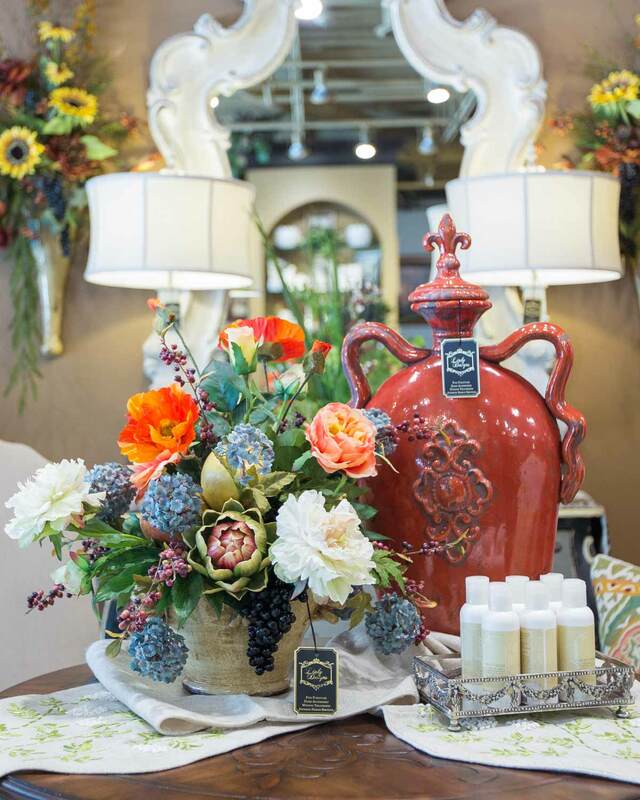 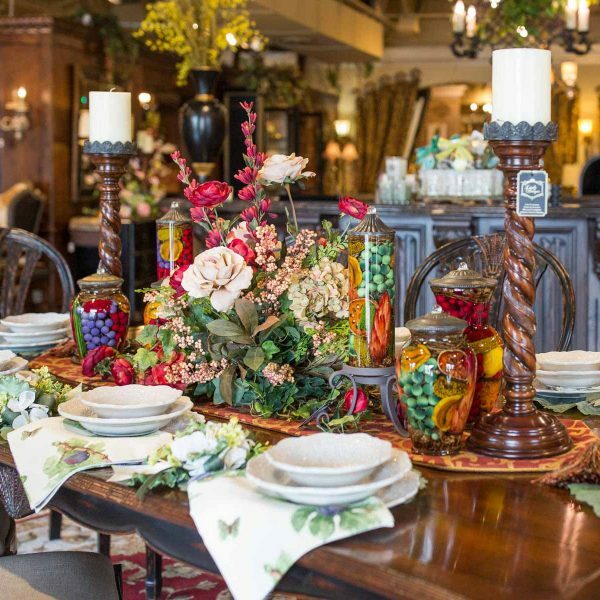 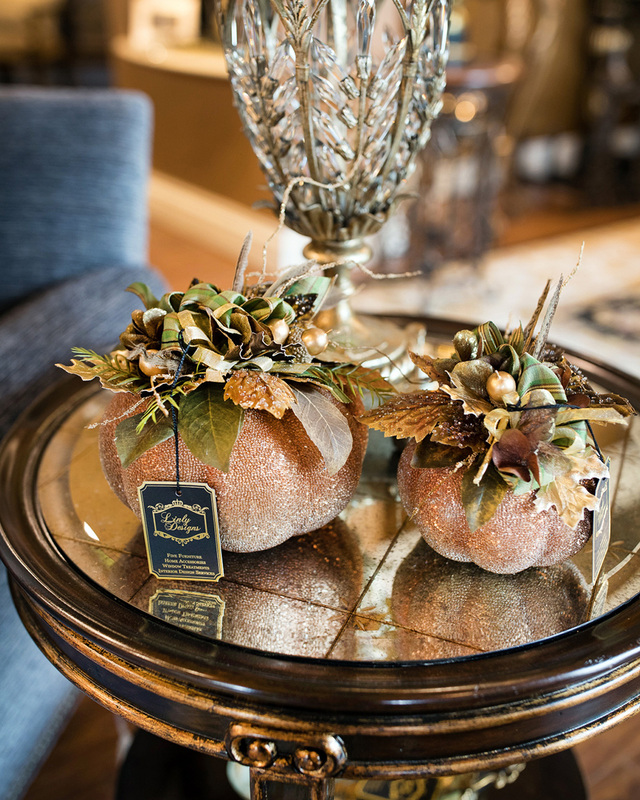 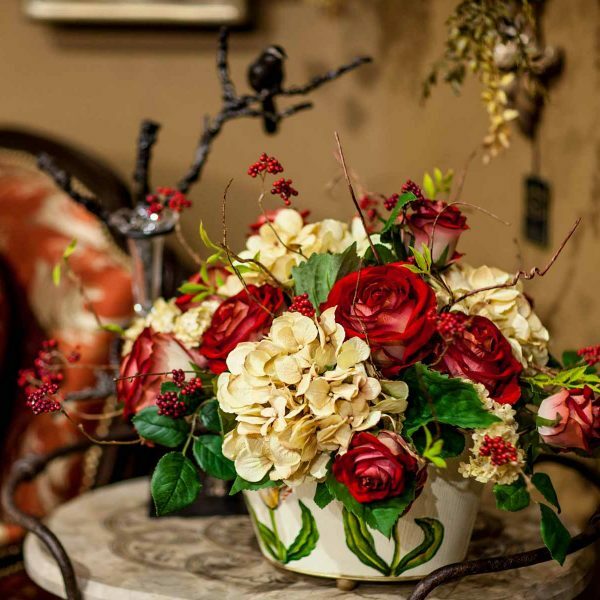 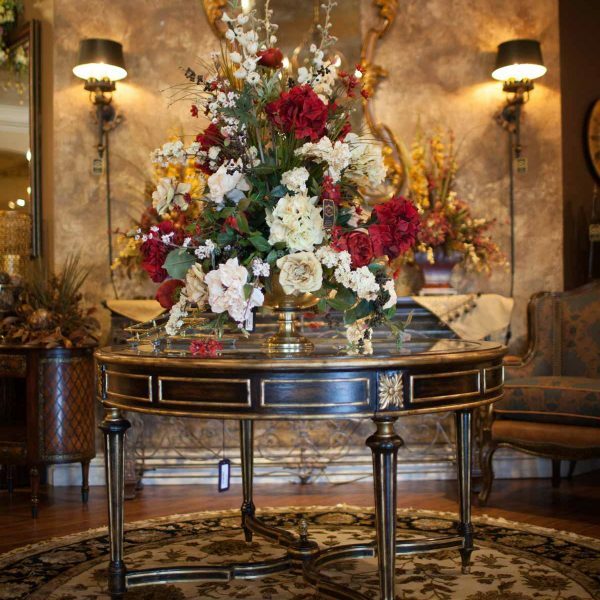 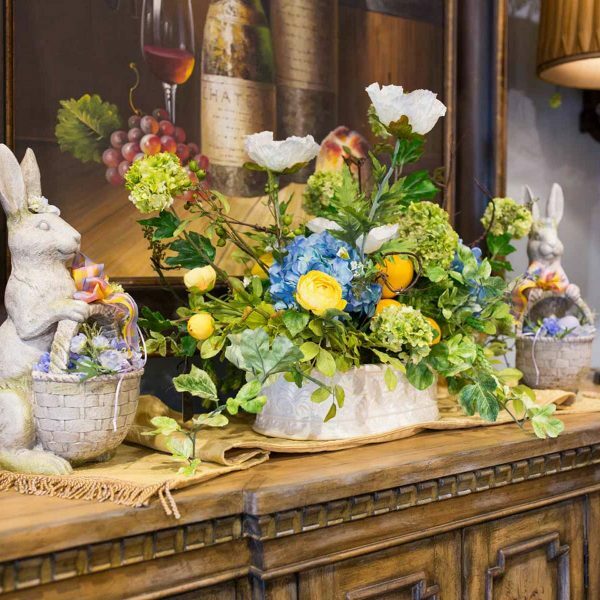 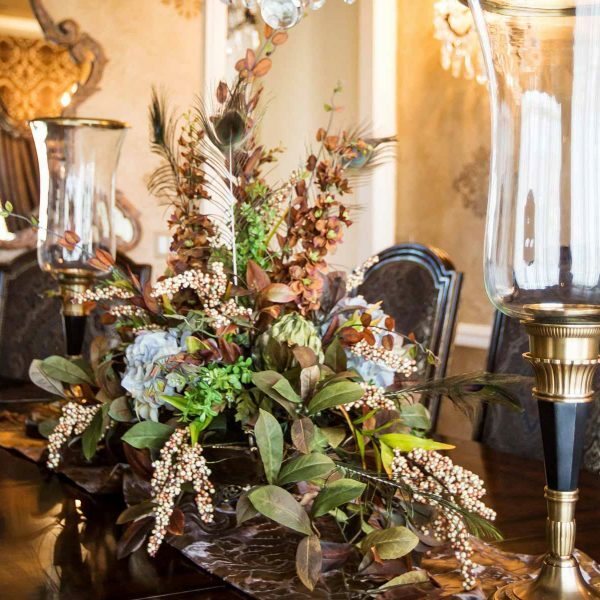 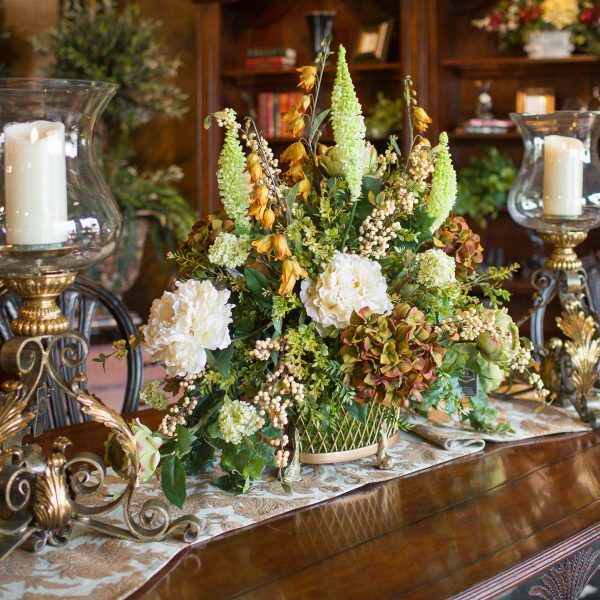 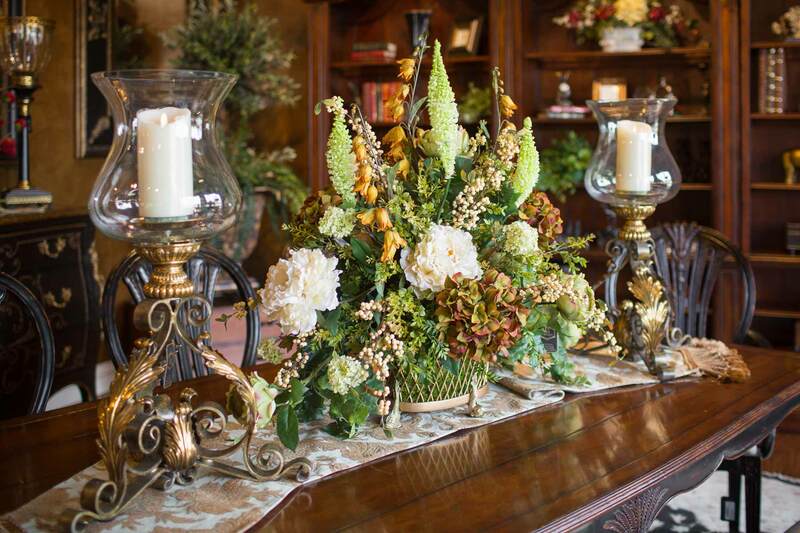 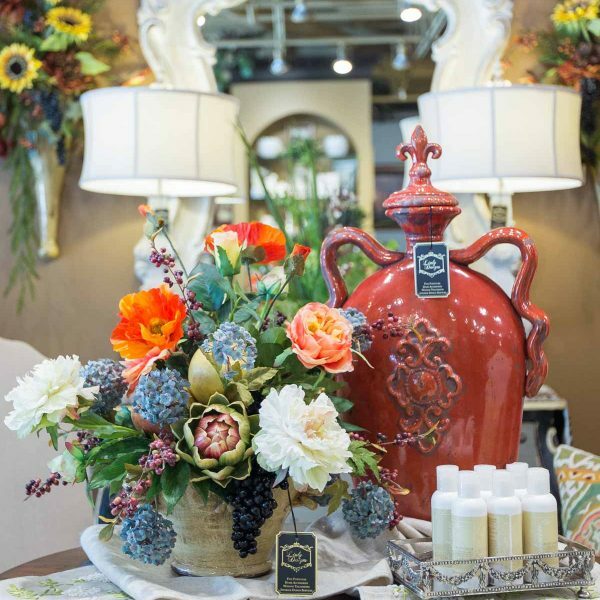 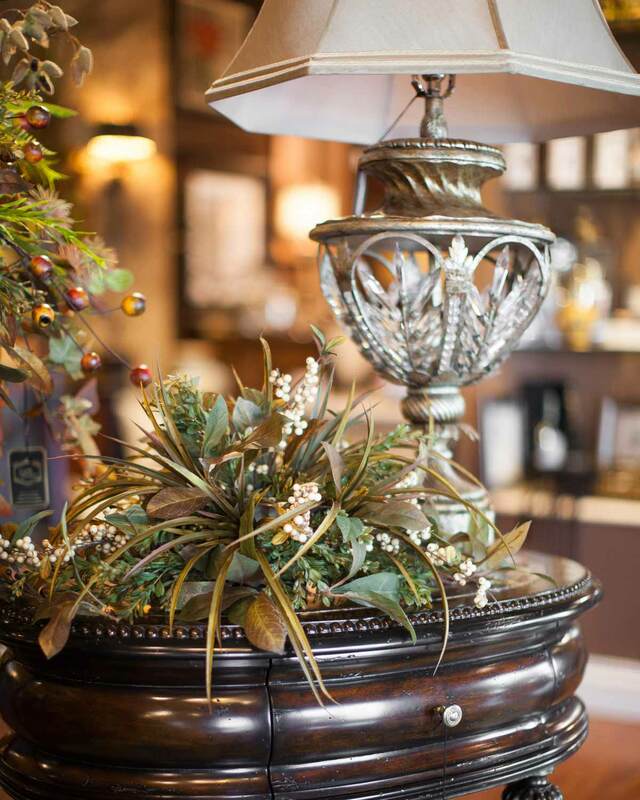 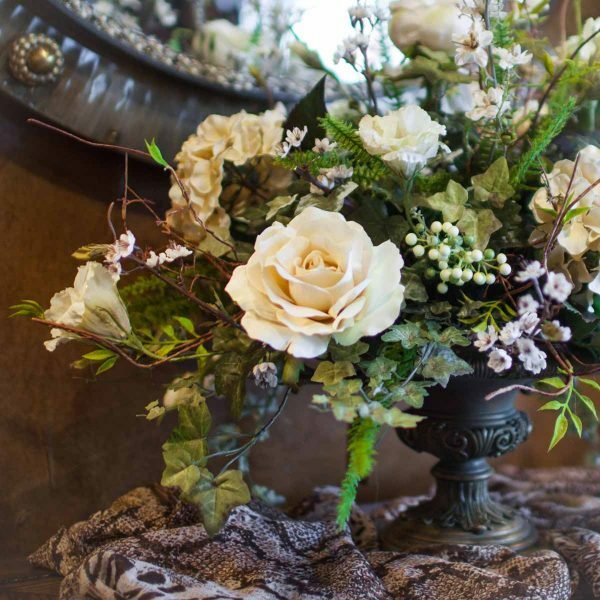 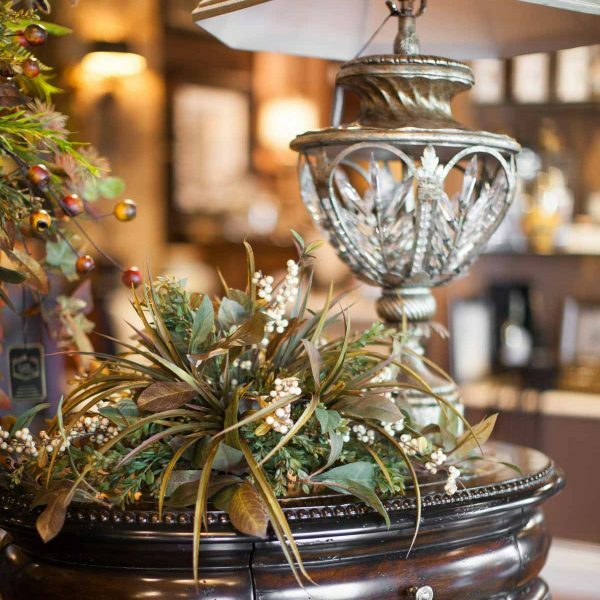 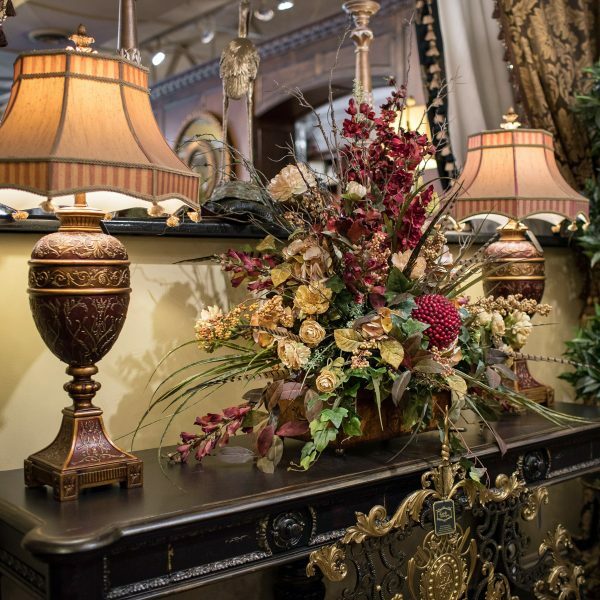 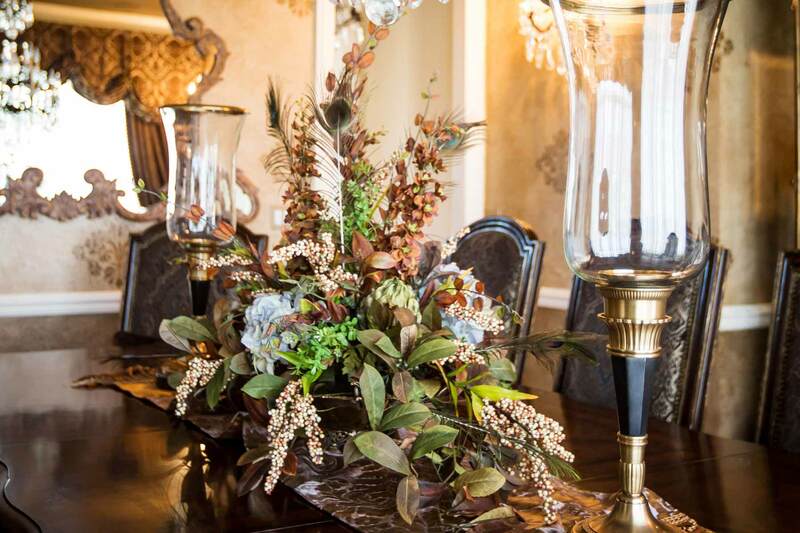 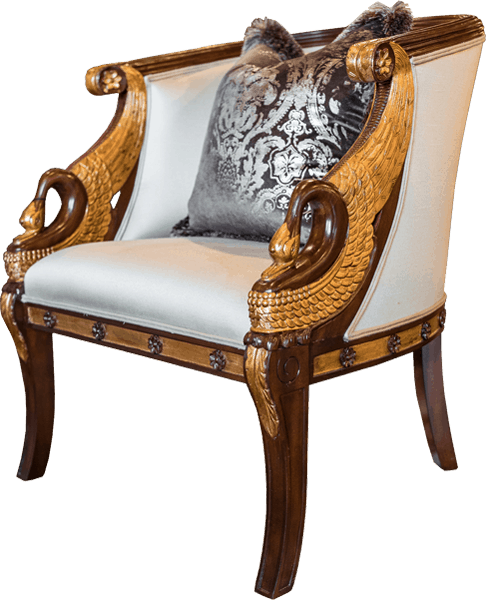 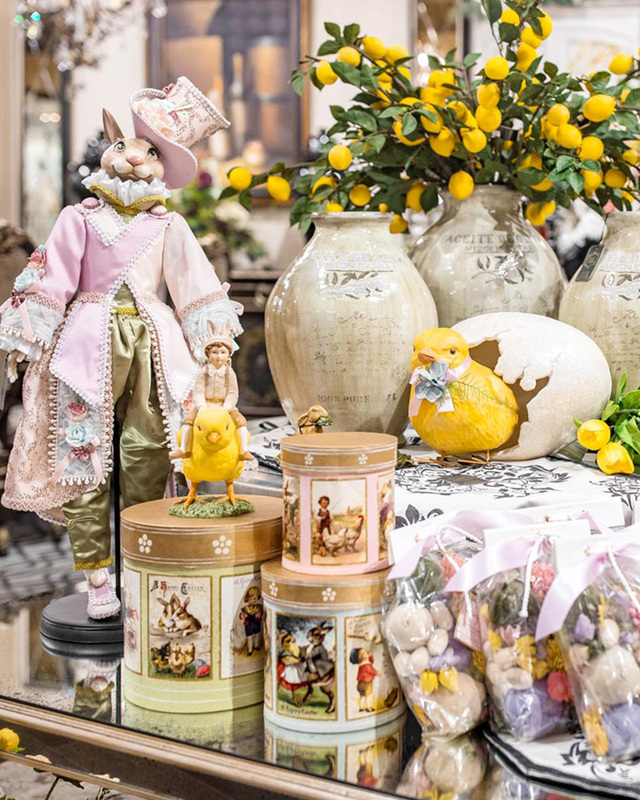 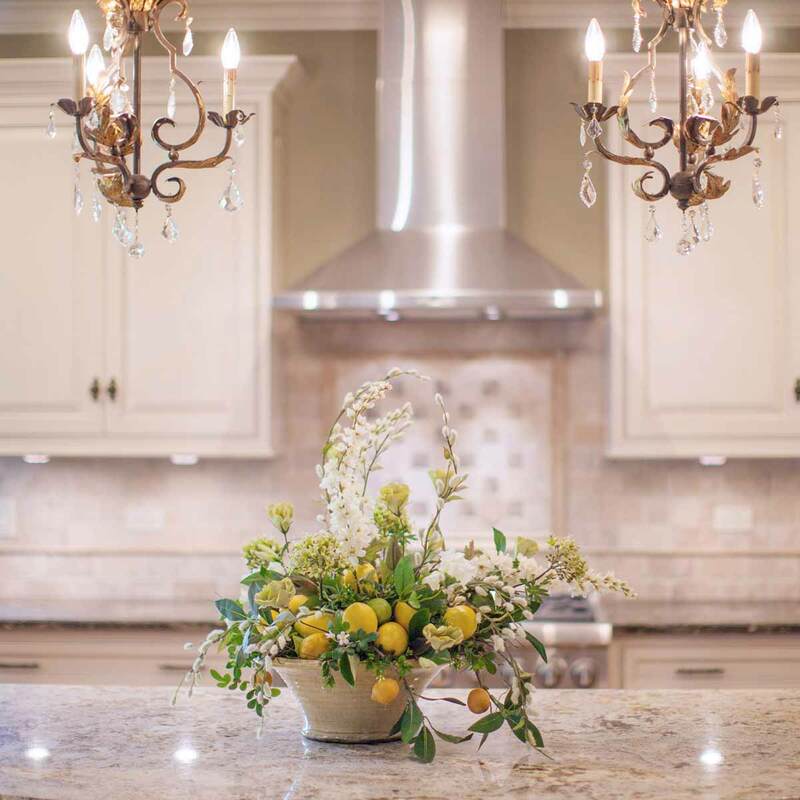 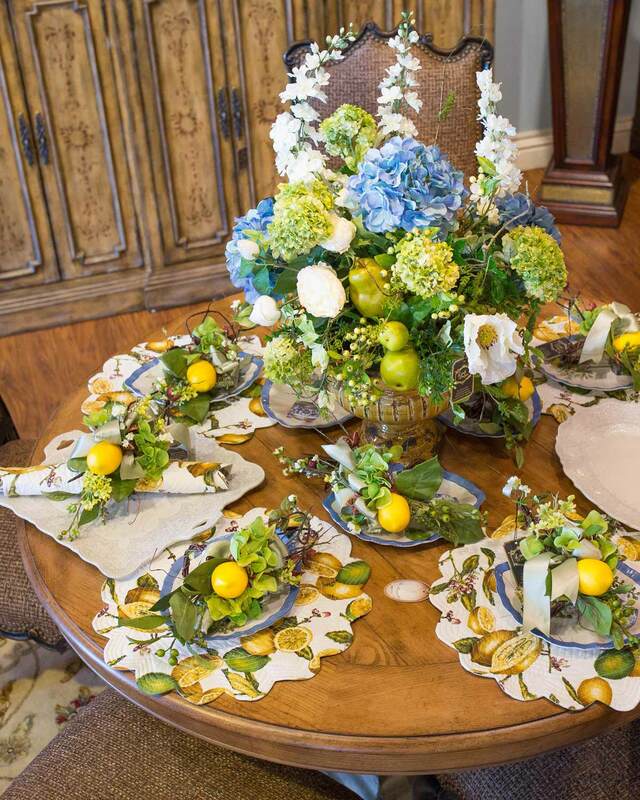 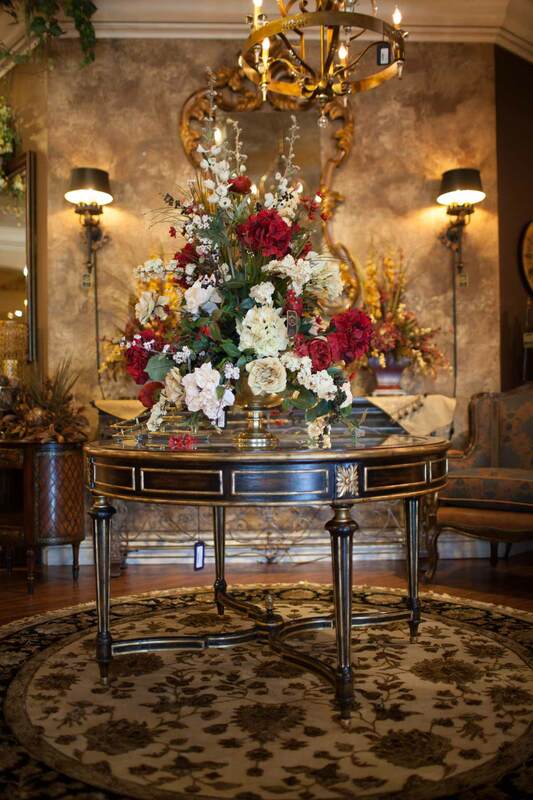 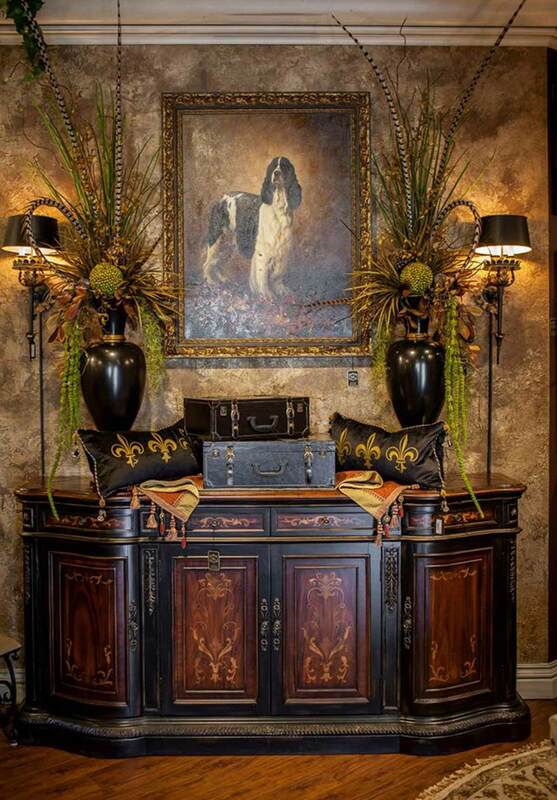 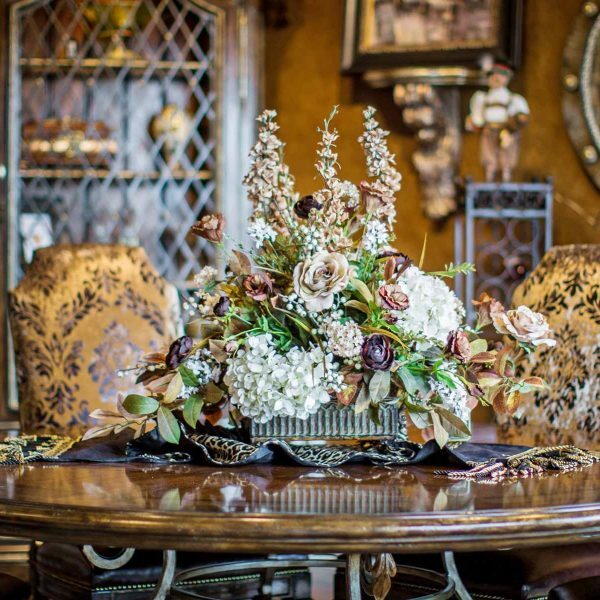 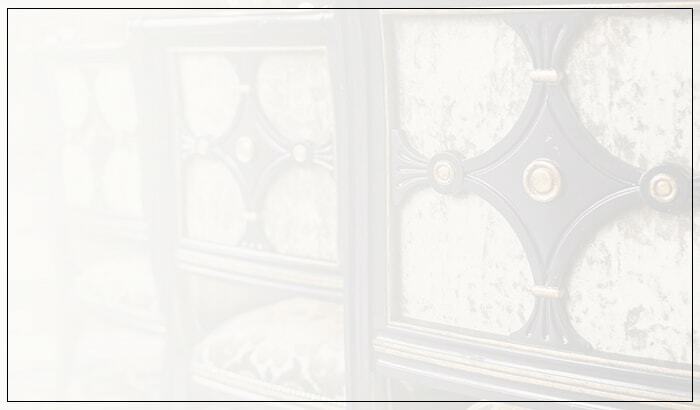 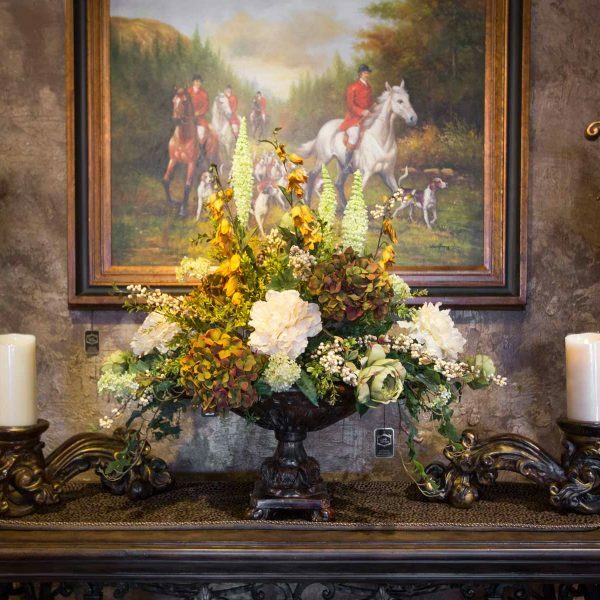 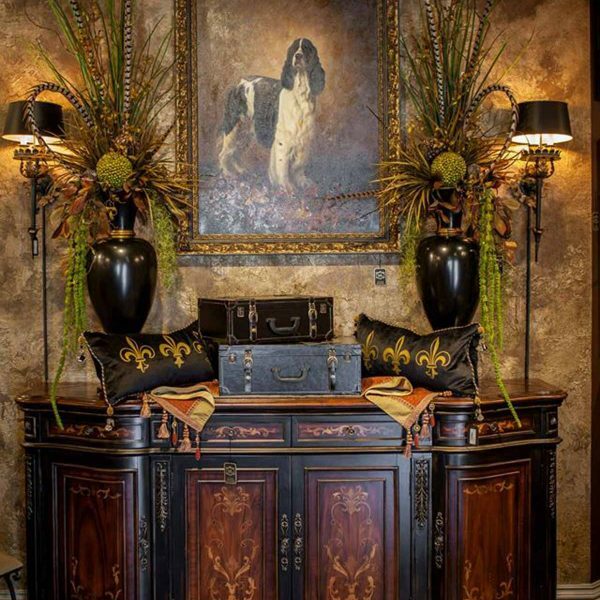 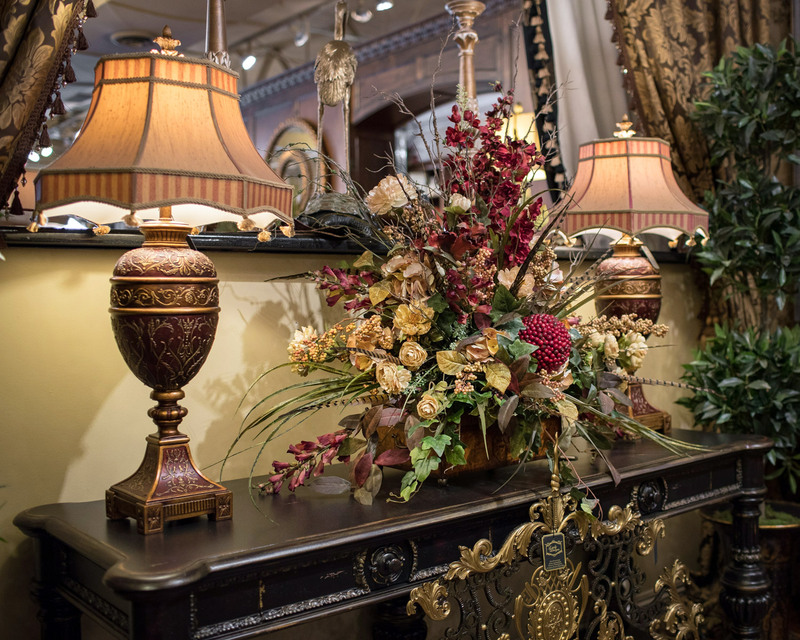 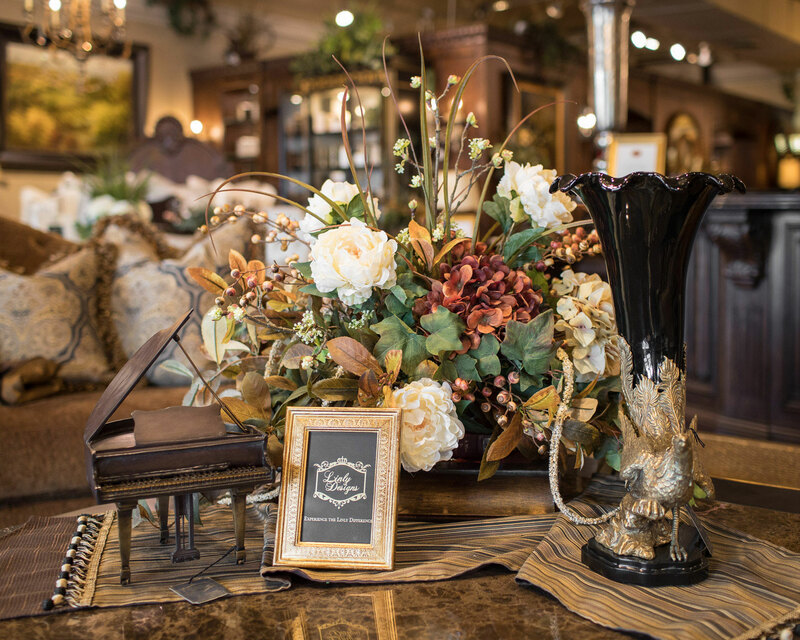 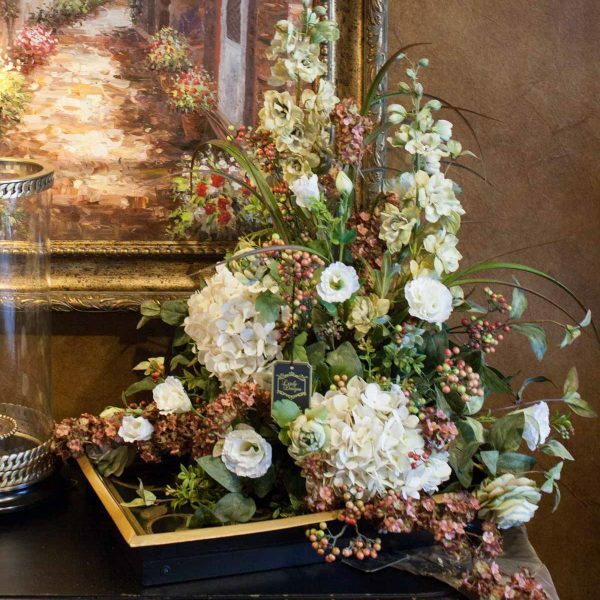 With a beautiful selection of accent greenery, cabinet toppers, embellished home accessories, and dining table arrangements, the possibilities to warm up your space with a stunning floral are endless. 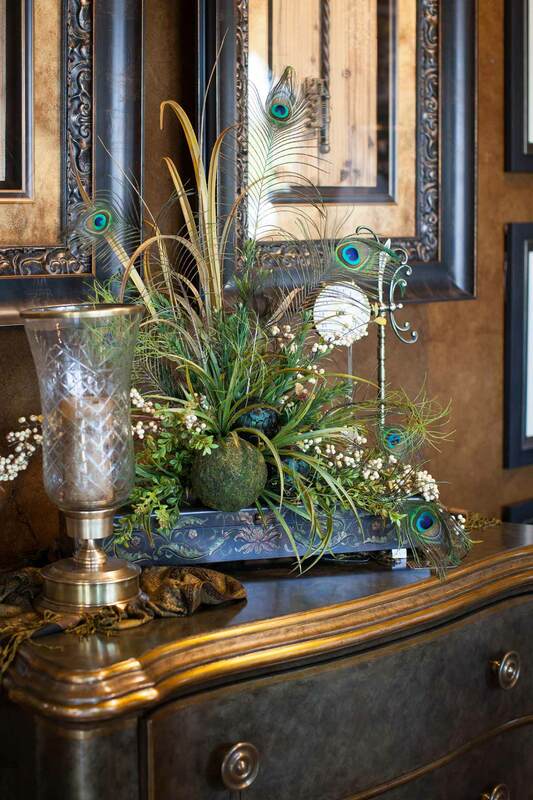 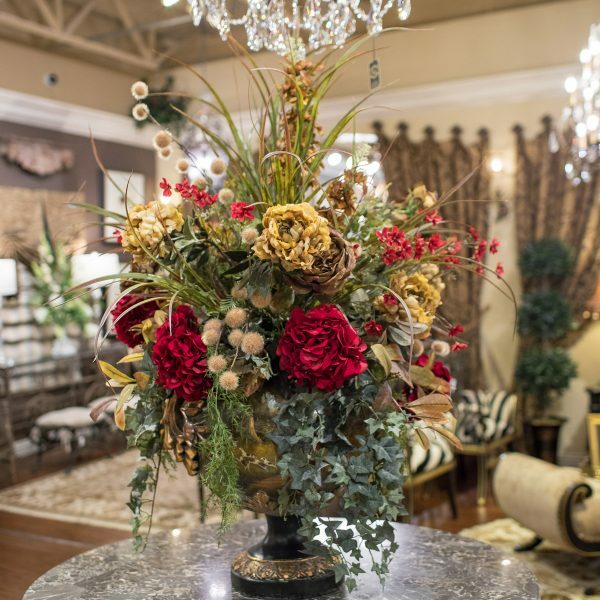 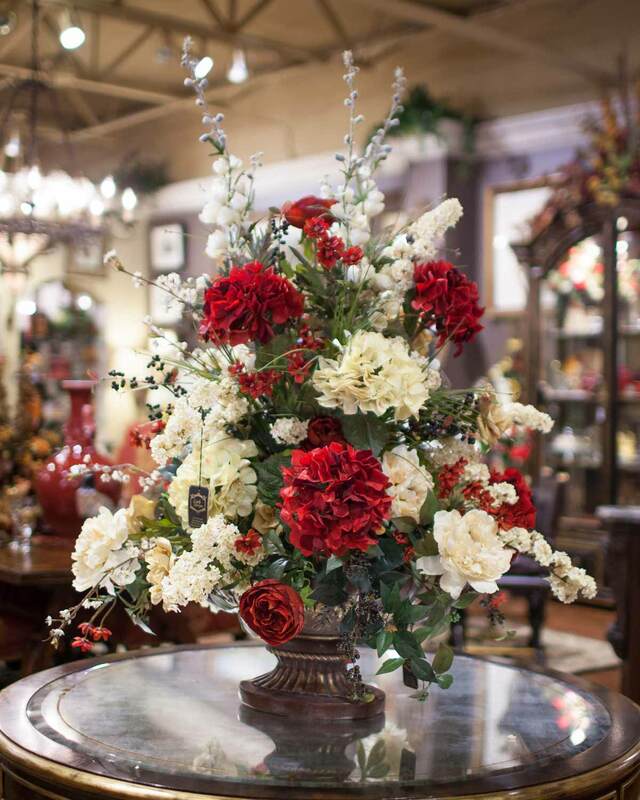 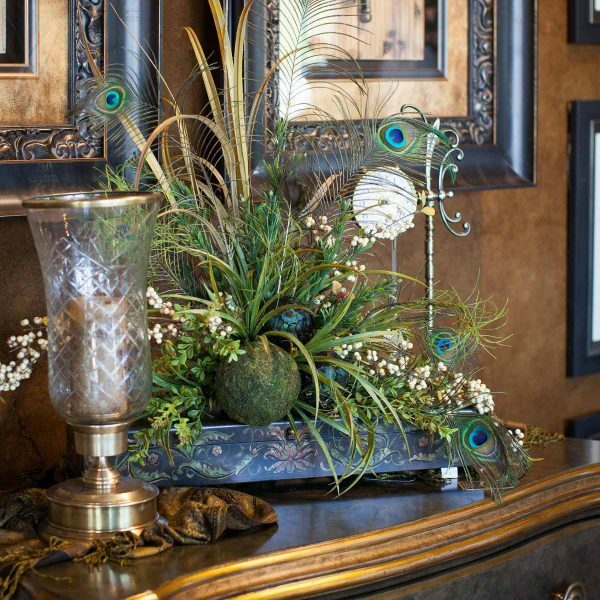 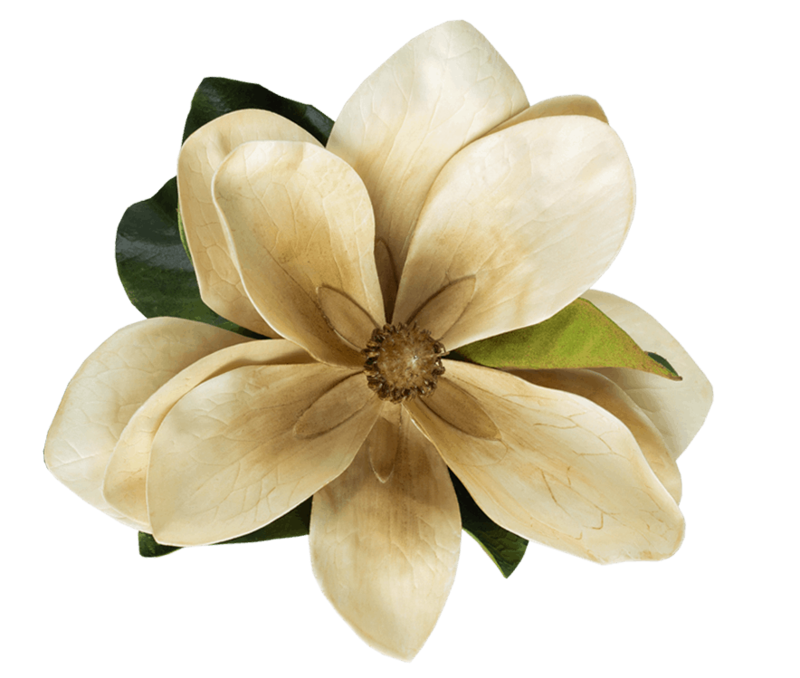 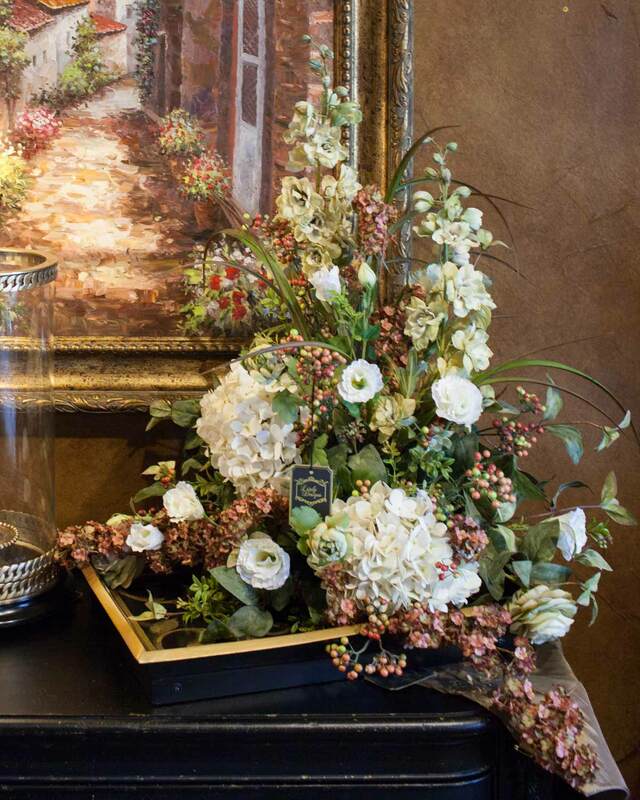 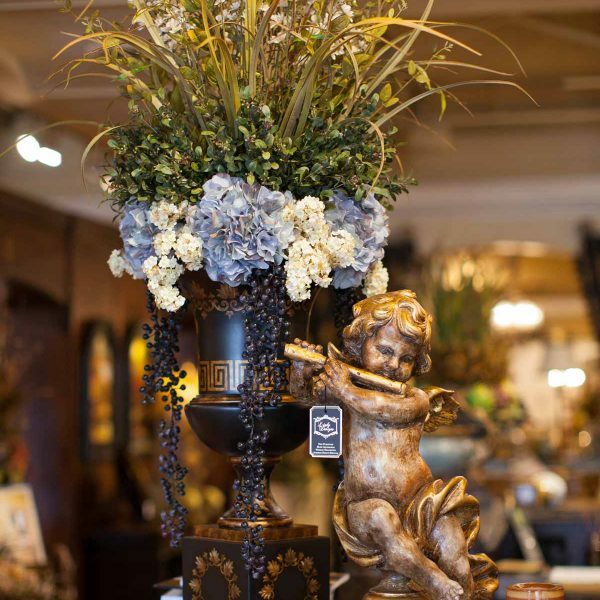 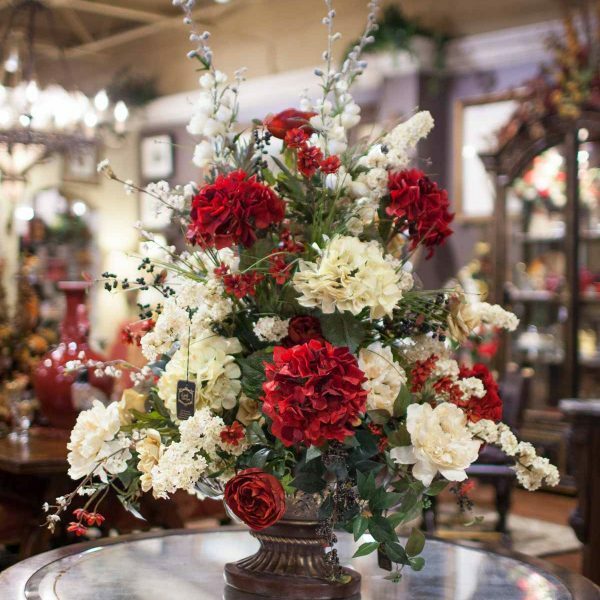 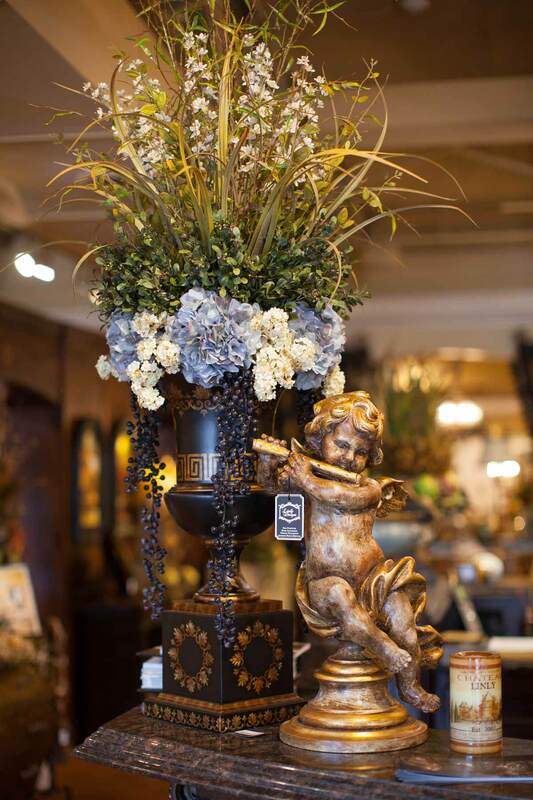 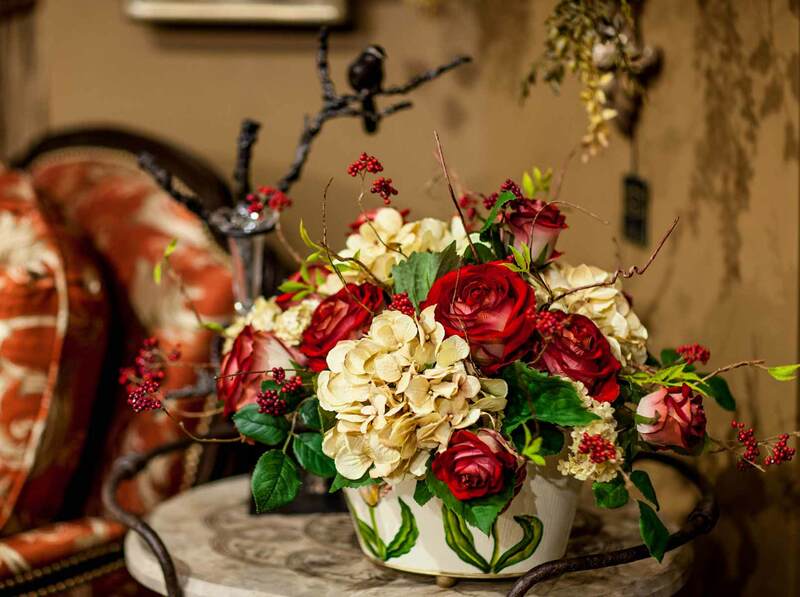 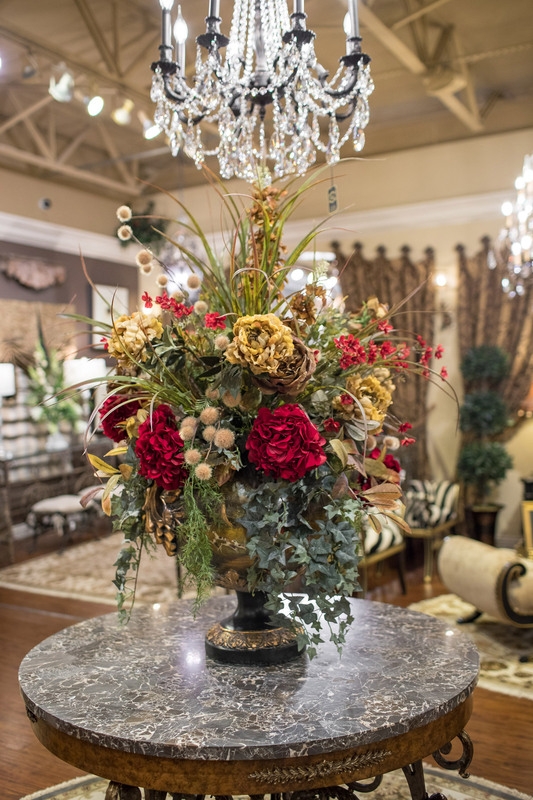  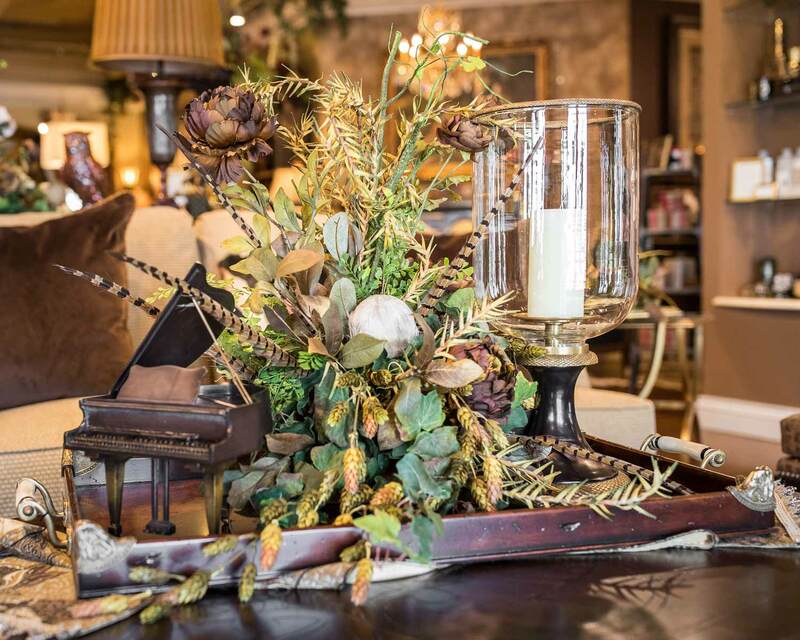 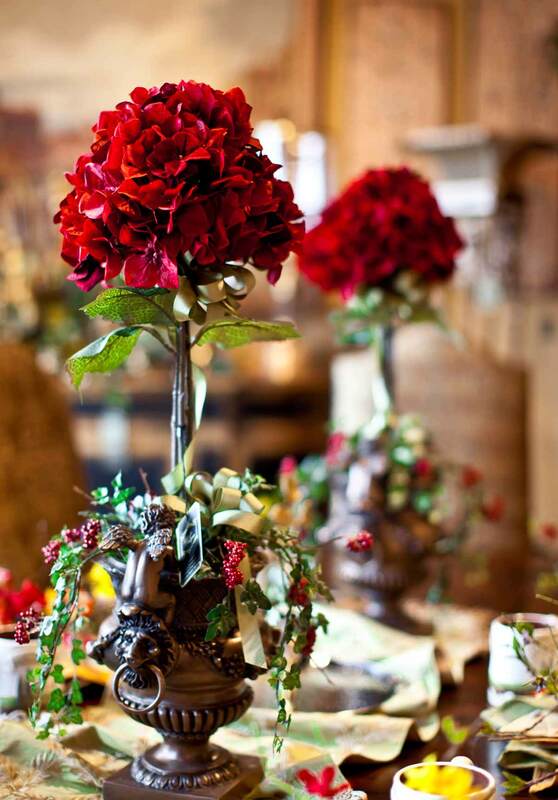 Let's Create a Custom Floral Arrangement Just for You!